One of Maui’s well-known Roman Catholic Deacons is Deacon Patrick Ronald Constantino. He was born on May 6, 1943 in Pu‘unēnē, Maui, Hawai‘i. His parents were Francisco and Felisa Cabacungan Constantino who were part of the Sakada influx from Bacarra, Ilocos Norte. Deacon Pat graduated with the Baldwin High School Class of ’61. He received his degree in Accounting from Maui Technical School which became known as Maui Community College and is currently called University of Hawai‘i Maui College. He also received a Management degree from CUNA Mutual School at UCLA as well as a Business Administration Degree from American University. After graduation, Deacon Pat held several employment. He was once a pin boy at the Maui Bowling Center, a dish washer at Maui Palms Hotel and Maui Beach Hotel, grocery boy at the A&B Super Market, Accountant at Music Sales, Inc., Account Clerk at MDG Supply, Inc., Assistant Sergeant of Arms at the State House of Representatives, and Manager and Assistant Treasurer at the Kula Community Federal Credit Union. 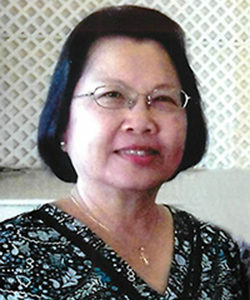 At the County of Maui, he was the Executive Assistant to Maui’s first Mayor, the late Elmer F. Cravalho, and became the first Filipino appointed as County Treasurer, and Risk Manager and Grant Administrator. He was also a Board member of Maui Factors, Inc. and the Maui Hog Producers. 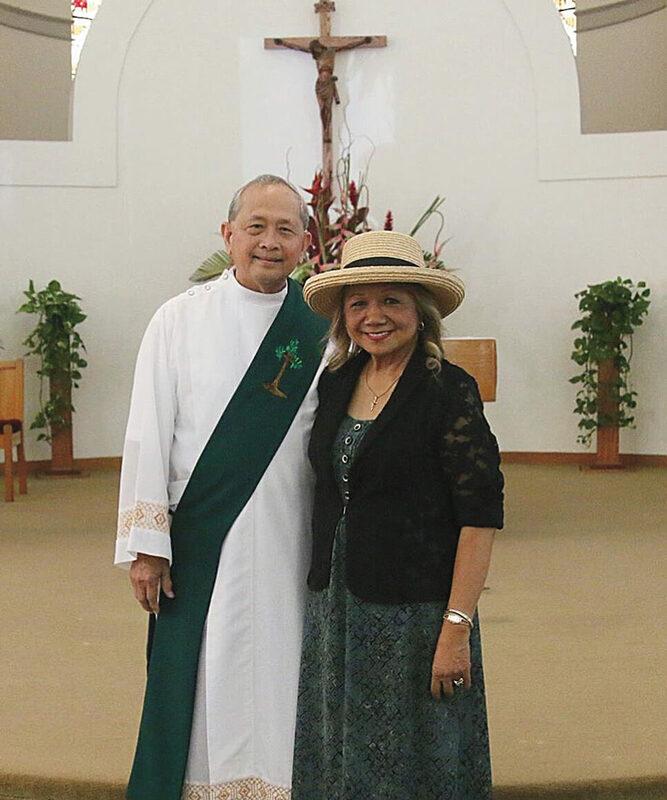 Deacon Pat was a very active member of the following organizations: St. Anthony Filipino Catholic Club, Maui Democratic Party, and Maui Young Democrats. He was the first Filipino to attend the Democratic Party Convention in Chicago, Illinois. He was the Chairman of the Maui Immigration Services Committee. He was the President of COPA (Council of Political Associates), and President of the Fil-Am Civic Club. 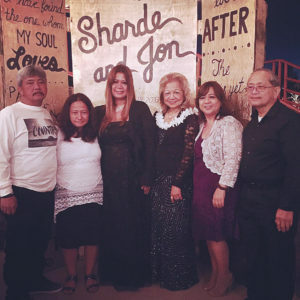 He was a member of the Board of Directors of both the Maui Filipino Community Council and the United Filipino Council of Hawai‘i. He was also a board member of the Maui Catholic Charities and the Kula Community Federal Credit Union. 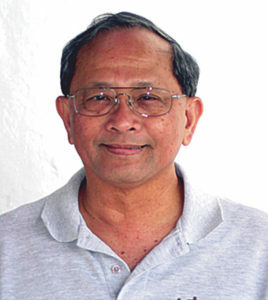 He was the Spiritual Director of both the Maui Council of Filipino Catholic Clubs and the Diocesan Congress of Filipino Catholic Clubs. Besides being so active in the community, Deacon Pat is also very active and involved in the religious community here on Maui. He is involved in the Diaconate Advisory Committee, the Deacon Council, Marriage Encounter (which helps married couples to have a loving and more solid married life), Engaged Encounter (which helps engaged couples to prepare for committed married life), Youth Encounter, and CHOICE, which was the Young Adult Program for 18 to 38 years old, single and married young adults. They had weekend live in retreats to focus on their self and others and God, which were held at the Mauna‘olu College Campus and Maui Land and Pine dormitory in Makawao. Because of his involvement with Marriage Encounter, Engaged Encounter, Youth Encounter, etc., Deacon felt God’s calling for him to become a Deacon. With the encouragement and support of Fr. Thomas Choo, Pastor of St. Joseph Church at that time, Deacon Patrick was accepted into the Diaconate Program of the Catholic Church. Deacon Patrick was ordained as Deacon in the Catholic Church on June 18, 1987 by the late Bishop Joseph Ferrario. He was assigned as Deacon to the following parishes: St. Joseph Church, Makawao (1987 to 1995); Holy Rosary, Pā‘ia, St. Rita, Ha‘ikū, and St. Gabriel churches (1995–2009), (as Administrator for the three parishes), Holy Rosary Church, Pā‘ia (2009–2016), and St. Joseph Church, Makawao (2016 to the present). Deacon Pat is married to Cora Bio Constantino. They have four children: Cary Constantino, a retired Maui County Board of Water Supply working foreman, Darlene Cachola, an Executive Secretary in the Office of Clergy, Diocese of Honolulu, Pamela Cravalho, a Supervisor at the Division of Taxation, State of Hawai‘i, and Jamie Kaiali‘ili‘i, a Pizza Hut Baker and Secretary of Holy Rosary Church. Deacon Pat has a sister, Norma Constantino Visitacion.